Soupe a l’ongion did originate in France. It became popular in the US due to a renewed interest in French cooking in the 1960’s. Though Americanized recipies are often far different feom authentic French recipies. My current favorite recipe is from Julia Child’s book “Mastering the Art of French Cooking”. The cookbook explains how to make classic French recipies in American kitchens with ingredients available in the US. The recipe I’ve used is similar but instead of salt I add a tsp of beef bouillon and it makes it taste more “french” :) or at least, more like the commercial flavours I’m used to. Opps, and I guess my spelling of flavor gives away that I’m from Canada, eh? While this is super easy, I always just use your onion spice mix added to sour cream. It’s really good! It’s the end of the year and I would like a short vacation. You know, somewhere amusing. Can I visit your brain? 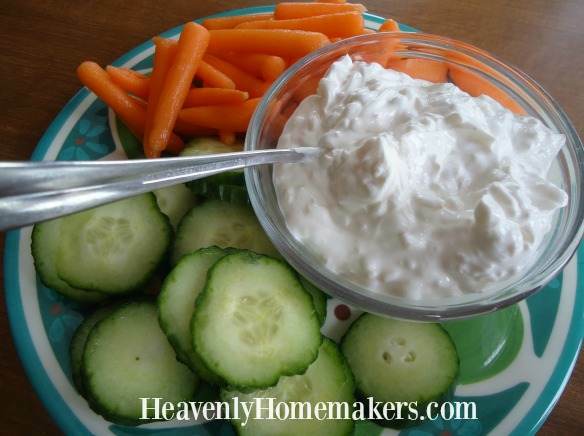 I adore French onion dip. I will have to try this! For 2016 I would like for you you revisit some of your very old recipe posts, letting us know how you may have tweaked them since then and any variations your family has enjoyed (or others!). Kind of like sifting the older stuff to the top! I also would like to have you revisit the key mixes such as cream soup and spice mixes. I know that you are trying to balance your faith posts with everything else to appeal to a larger audience but I really do enjoy them. Frites orignated from Belgium most likely, though possibly France. And if you haven’t had the chance to try Belgium Frites, I would highly reccomend them. A local restaurant makes the most amazing Belgium style frites. They are served in a paper cone with aoli for dipping. It is a once a year birthday treat for me! 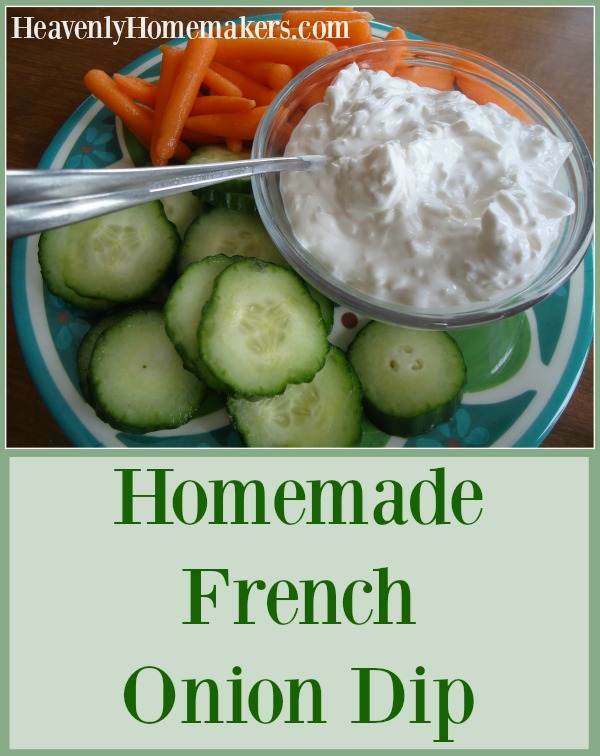 The name “French” wouldn’t have anything to do with the fact that the “Frenchs” brand made the dip originally here would it?